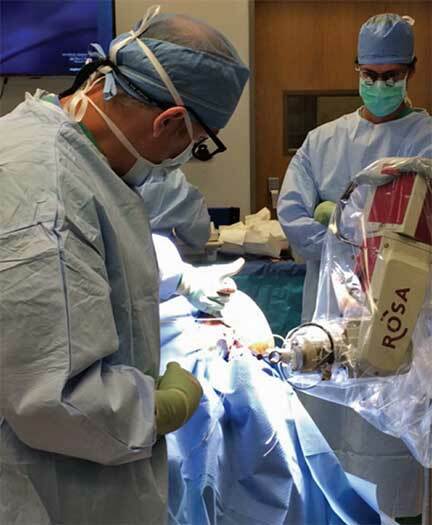 Michael Sather, M.D., surgical director, Penn State Hershey Comprehensive Epilepsy Center, performing open surgery to place subdural electrodes directly on the surface of the brain with the ROSA™ system, which allows for precise placement of the relevant electrodes. Technological improvements to both testing and treatment have revolutionized the field of epilepsy care in recent years. 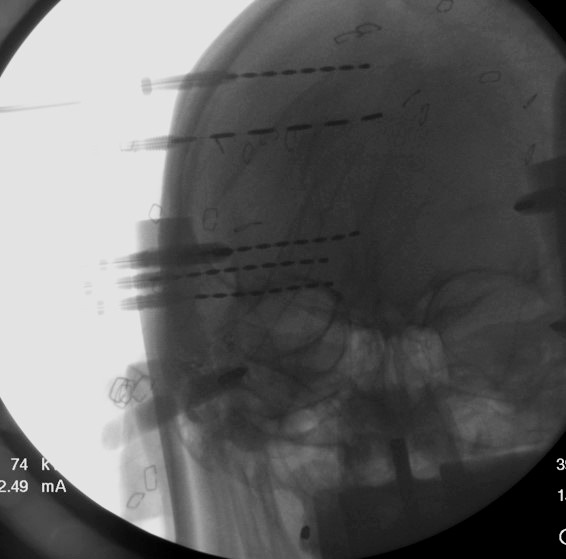 Clinicians seek to pinpoint the location of seizures to administer more targeted treatment. “There is a growing interest in identifying the seizure focus more precisely and noninvasively,” says Jayant Acharya, M.D., medical director, Penn State Hershey Comprehensive Epilepsy Center of Penn State Hershey Neuroscience Institute.